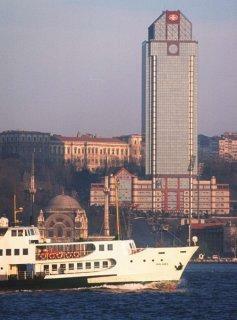 Due to its great history, monuments, traditions and friendly people, Istanbul attracts thousands visitors every year. This has been the main reason for the great hotel market growth. Currently, Istanbul is filled with a large number of Hotels for all tastes, from the five stars luxurious hotels like the A'jia Hotel, Marmara Istanbul Taksim, Four Seasons Hotel Istanbul at Sultanahmetand Ceylan InterContinental, to small and cozy hotels like Cem Sultan Hotel, Ida Hotel and Istanbul City Guest House. Remember, that no matter whathotel you choose, because you will always find all the necessary comforts such as Internet, hot water, translators, room service and even tourist guides, whom you can consult at any time of the day. So, if you are planning your holidays, Istanbul is definitely a place that you should visit, we can assure that you will not regret. Istanbul is waiting for you.